Every year more and more of the world’s population come online; perhaps as many as a quarter billion each year. With global populations increasingly participating online, new language audiences are opening up. This brings an opportunity to engage with new audiences which are fuelling the growth of content in less dominant languages. Another way of saying this is that the growth of English speaking internet users has stalled. India’s a good example of this trend. 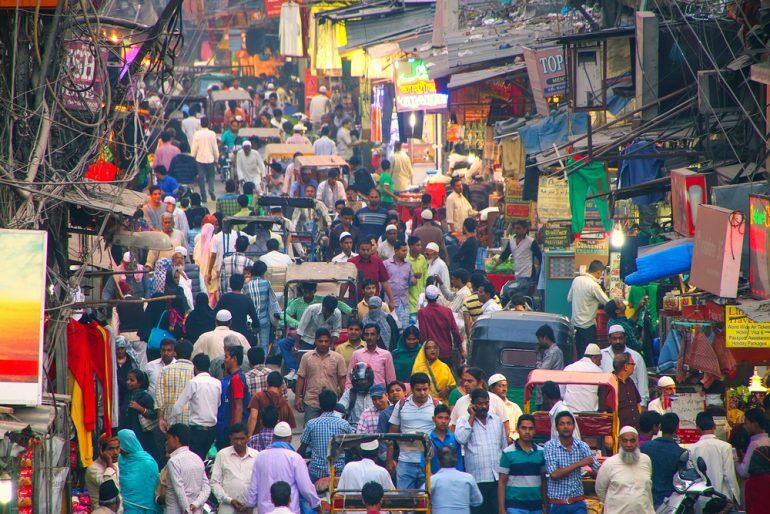 India’s population is rapidly coming online, but 90% of those new internet users are non-English speaking. Reaching new audiences isn’t just a case of expanding into new markets. Your brand can also reach new domestic audiences through catering to minority language populations in your existing markets. A key example of this is the US Hispanic market. Many US-based brands are recognising the increasing value of reaching Spanish-speaking audiences in their domestic market through targeted content in their native language. Trying to reach people in a plethora of new languages may sound like an intimidating task. But you may not need to translate your services into a multitude of languages. In fact, your website only needs to be translated into 23 languages for it to cater to 90% of the world’s population. Translate it into 36 languages and you’ll reach 95% of the world’s population. Realistically, you may be able to reach huge new audiences with just one or two new languages that are relevant to your target markets. Take India as an example. An astonishing 450 languages are spoken within India, but not all languages have an equal population or represent audiences with the same buying power. Approximately 40% of Indians have Hindi as a first language, making this a solid language to target to reach a significant local audience. That’s the approach Netflix has taken in India, where it offers content in both English and Hindi. Local competitors offer a wider range of languages such as Tamil and Kannada. Although these are minority languages in India, they represent sizeable populations in the tens of millions. Every day, around a million people come online for the first time ever. One consequence of this expansion of the world’s online population is that it’s starting to boost the numbers of minority language speakers relative to existing online populations from majority languages. In less than three years time, there will be twice as many speakers of Indian languages than English speakers. Whilst English language content once dominated the online sphere, for years now the share of English language content has diminished relative to other languages online. The growth in new internet users is likely to come largely from minority language groups. There are multiple reasons for this effect. To some extent, digital access is now somewhat saturated in English speaking countries. These countries also have relatively low birthrates, meaning growth is not coming from new younger generations coming online. Contrast this to India, for example, where there remains huge potential for bringing audiences online. The last few years have seen rapid growth in access to the internet and this looks set to continue to 2022 thanks to cheap smartphones and mobile data. That’s despite a historically low birthrate that’s not much higher than English-speaking countries (2.3 children per adult woman relative to the UK’s 1.8). By 2021, there will be around 250 million English speakers online relative to 500 million speakers of Indian languages. The majority of these will speak Hindi, with Marathi, Bengali, Tamil and Telugu speakers accounting for about 30%. In other markets, the growth in online access is hampered by the high cost of access. Demographic factors and economic growth account for the increase in internet access, despite these relatively high costs of getting online. Nigeria is a good example of this. Despite the high costs of getting online, there’s a young population keen to get online and strong growth year on year in internet access. Iran, another young country, is thought to have internet growth rates of over 130%. For brands chasing new audiences, there’s huge untapped potential for reaching new language groups online. These populations are likely to share the characteristics of being fairly novice internet users, probably on mobile, and likely to be located in emerging markets. This audience has specific needs and characteristics that can be hard to cater to. But they represent a huge opportunity for brands willing and able to engage with them in their own language. The solution is to remain open-minded about engaging with new internet users. With brands keen to chase new markets, there’s going to be competition to cater to new online audiences. Those that manage to engage with them successfully are probably going to have to make efforts to engage in the appropriate language. Brands that fail to engage in minority languages are likely to lose out to competitors who manage to engage with these new audiences successfully.